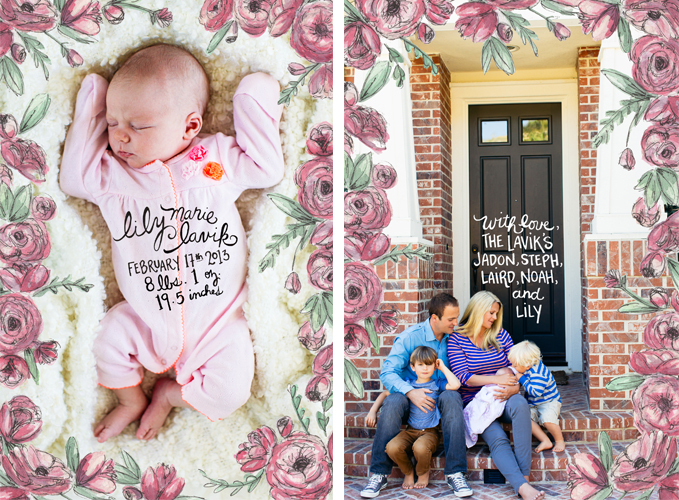 ASHLEY & CREW: little miss lily lavik's announcement! little miss lily lavik's announcement! isn't she just adorable?! i loved collaborating with stephanie lavik again [illustrated them for christmas, when lily was still inside steph's belly!] to illustrate the announcement of their baby girl's arrival! steph wanted a floral border around each side of the postcard, so of course, they had to be pink!! they are just the most beautiful family + i love seeing them grow! !